Nederland, TX – Market Basket proudly announces the renovation and remodeling of four stores in the West Central Louisiana towns of Many, Toledo Town, Zwolle and Mansfield. All four stores were previously part of the Big Star grocery chain acquired by Market Basket in November 2011. Since then, Market Basket has been working to update the stores to reflect their commitment to serving the surrounding communities with pride, just as the Curtis family did for years. Improvements to the four stores include: exterior paint, new exterior signage, new customer service centers, new register systems, new bakery deli service cases, freshly painted refrigeration and frozen cases, new display cases and tables in meat and produce departments, and new storage cases. Not all stores received all improvements, but they were made on a store by store basis as needed. In addition to the above listed improvements, ALL four stores were completely re-merchandised with over 2,000 new items added. The grocery chain that was co-founded in 1961 by Bruce and Alletta Thompson has become the largest independent grocer in Southeast Texas and Southwest Louisiana. Investing their life savings along with additional borrowed funds, they opened Bruce’s in Groves, TX. Today, Market Basket has a total of 35 stores, including the Mercado de Familia Hispanic supermarket on College St. in Beaumont and a convenience store located at Phelan Blvd. and 23rd St. in Beaumont. 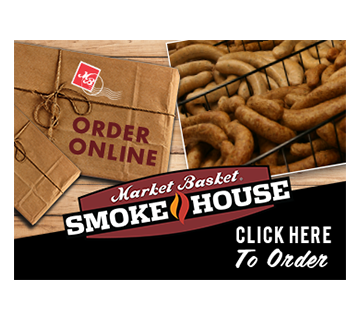 To stay ahead of ever expanding customer needs, Market Basket continuously evaluates new items and services throughout all stores. We also pride ourselves on maintaining the freshest possible selection or perishable goods in all departments. Bruce Thompson currently serves as Chairman of the Board of Directors while remaining active at the corporate and store level, and his son Skylar Thompson serves as the company’s President and COO.